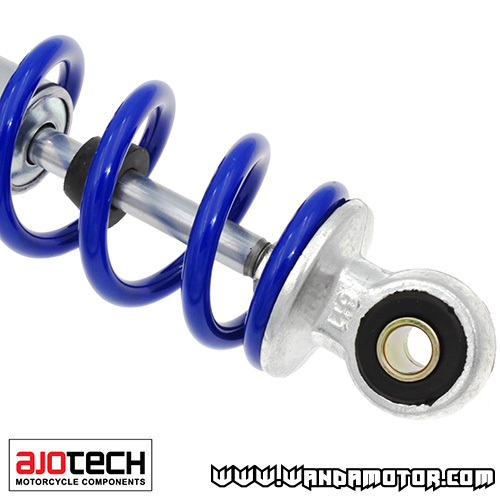 Six-Roll rear shock absorbers for mopeds. A great choice for Suzuki PV, Honda Z50 and China-made Monkey mopeds for instance. Adjustable rigidness. 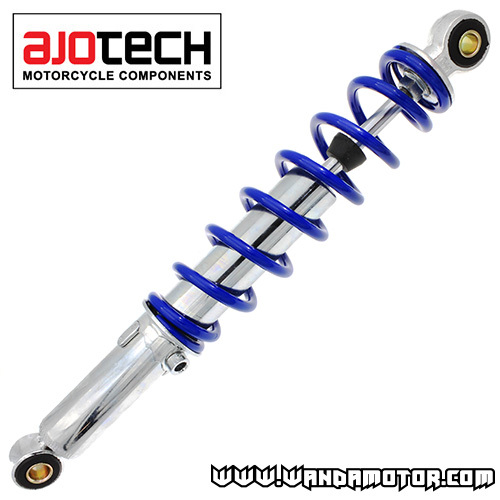 Color: silver shock with blue spring. The top end has 10 mm fixed bushing and bottom end has 12 mm bushing. 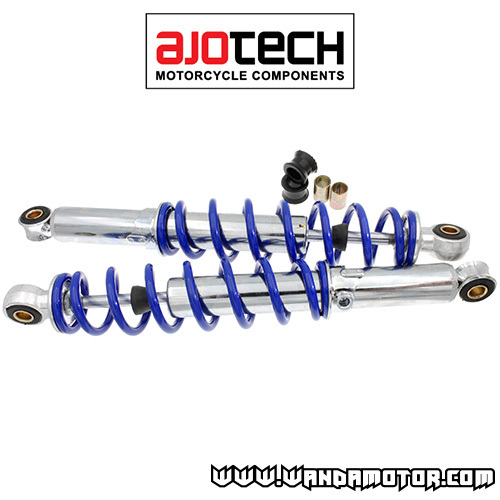 The delivery includes 10 mm bushings which means these shocks can be installed either on 10/12 or 10/10 bolts.